PattyBoutik Crochet Eyelet Lace Inset V Neck Long Sleeve Ribbed Knit Top. 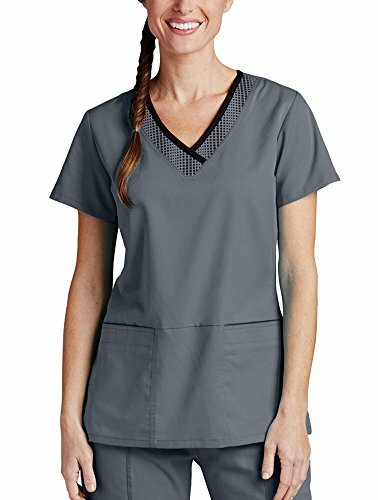 Model in pictures is 5 feet 8 inches (173cm) tall wearing size S.
Grey's Anatomy 41431 women's 3 pocket printed grid inset short sleeve v-neck top with contrast edge, inside hidden PDA and fitted back. 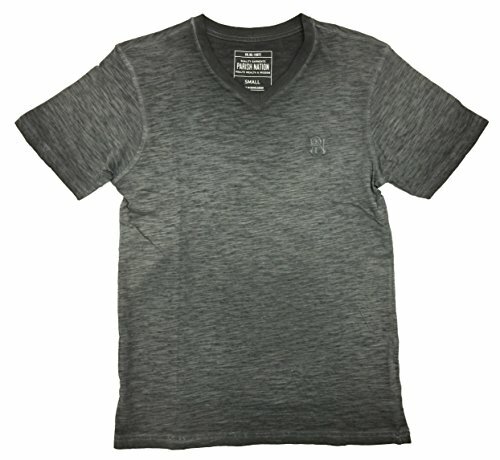 Made from 77% polyester / 23% rayon. PattyBoutik Floral Lace Scalloped Boat Neck Raglan Short Sleeve Inset V Neck Blouse Top. 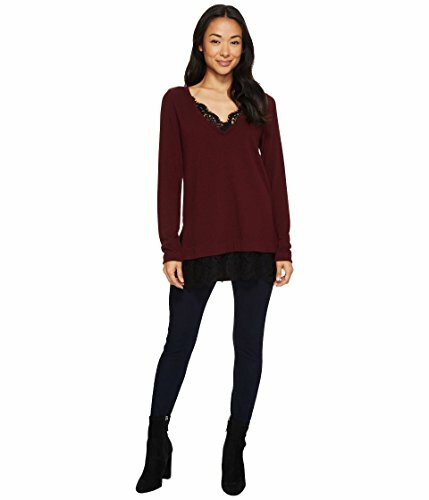 Model in pictures is 5 feet 8 inches (173cm) tall wearing size S.
A cozy knit sweater gets a romantic update with delicate scalloped lace inset. 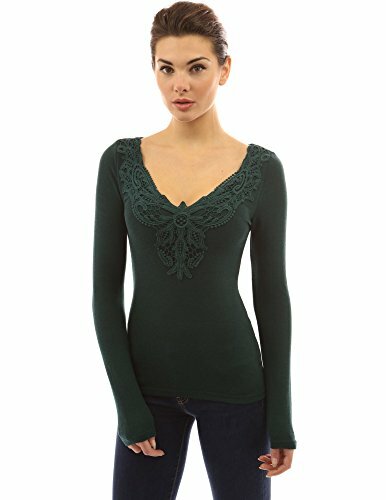 PattyBoutik Cotton Blend V Neck Crochet Lace Inset Long Sleeve Blouse. 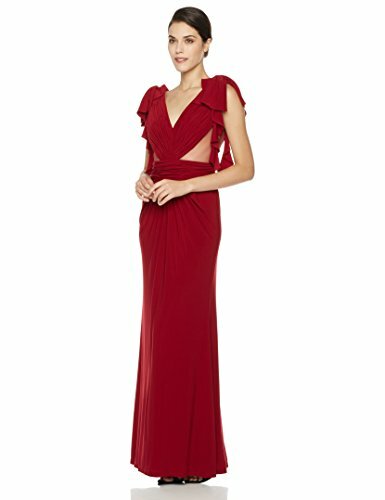 Model in pictures is 5 feet 8 inches (173cm) tall wearing size S. Empowering women to feel stylish, always. 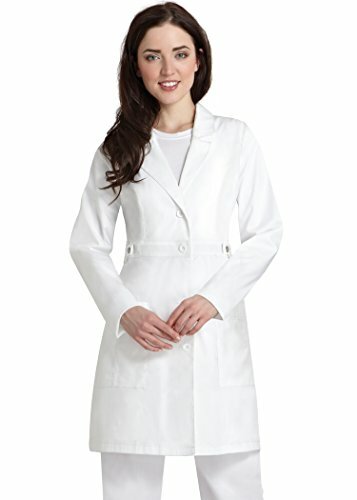 Junior fit lab coat in a beautifully tailored princess-seamed style gets a contemporary pop from multi needle tone on tone top stitching. Features include lapel collar, midriff with non functional snap-enhanced tab detail, patch pockets and back belt. Center back length 36 .